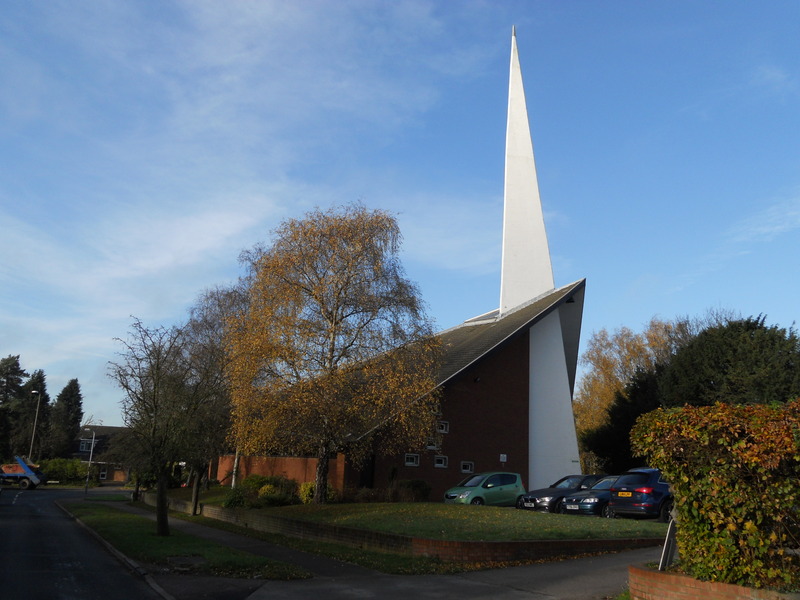 In church circles it common that modern buildings are derided. Sometimes this is justified as, especially more recent ones, can be utilitarian duel purpose buildings which does impose a lot of constraints and also there is a need to keep costs down. 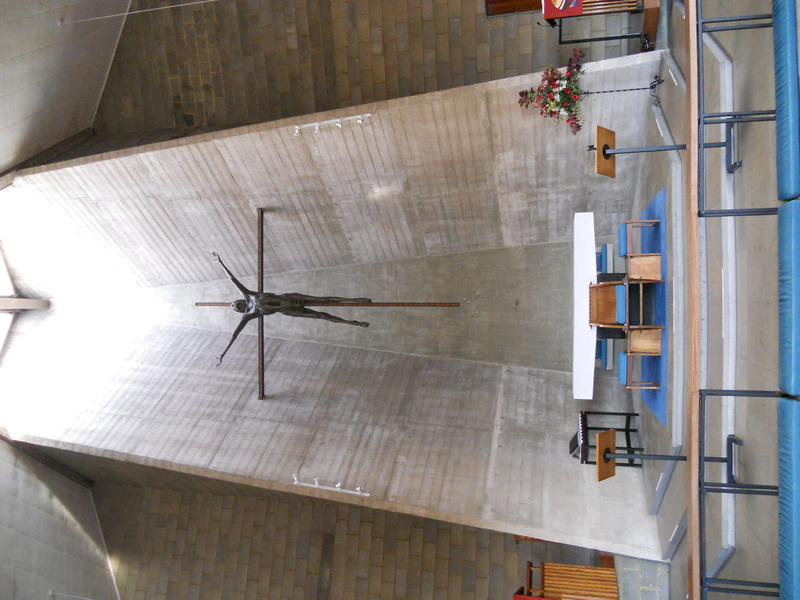 Some modern churches are stunning though. St. George’s is one such. It is striking outside but even better inside. It was built in 1964 and is light and well cared for. Ever more, it was open which is good. There is no guide or place to leave prayers nor a visitors book. This is a shame as there is a lot of potential here. 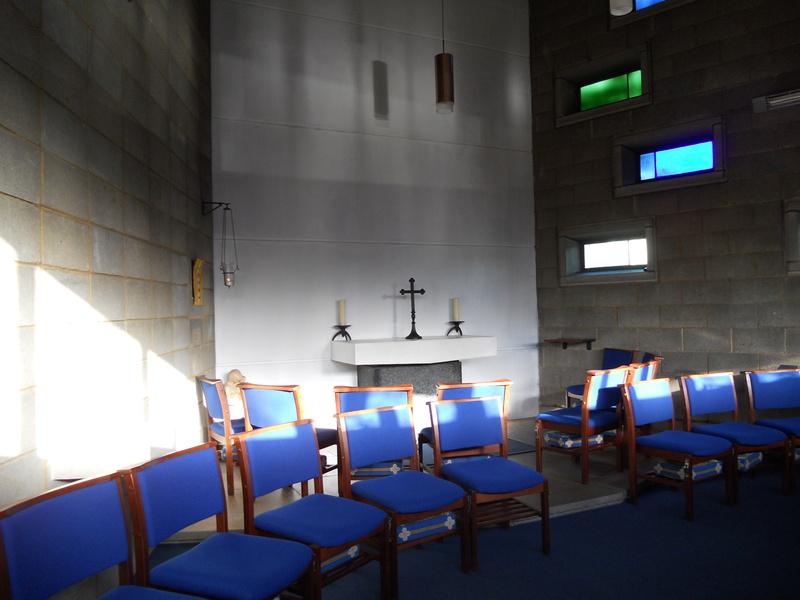 There is a small chapel where the blessed sacrament is reserved which makes a good place for quiet and prayer. The website is at parishofnorton.org.uk but it has no visitor information on it. Could do better but well worth seeing!